It is cherry season right now so I am trying to think of different ways to use some of those delicious cherries up. Do you like cherries? It is one of those foods I never really liked as a kid but now I love them. My whole family loves cherries so we usually buy them each week at the farmers market. 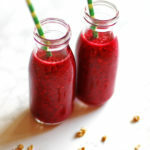 I decided to try making a smoothie this year with them and this Cherry Pineapple Smoothie was a hit with all of us. 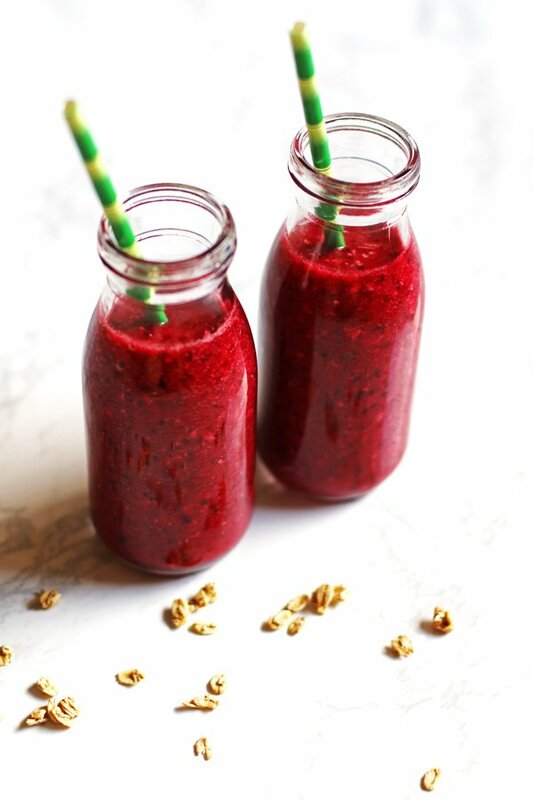 Smoothies have to be one of the easiest ‘good for you’ foods out there to make, don’t you think? So far I have only used fruit in my smoothies but I plan on adding in veggies soon. Recently I tried adding in carrots to my smoothie that I was making for my family. My son happened to walk into the kitchen and see the carrots with everything else on the counter. Of course he said something so then my husband and daughter also knew there would be carrots in the smoothie! I was trying to sneak the carrots in…I still made the smoothie and of course, they didn’t like it! I really think if they didn’t know the carrots were in there, they would have a different opinion on that smoothie! You know how if you don’t know something is in there, you don’t taste it? So next time I will have to make sure they don’t come into the kitchen while I am making it! So for this smoothie, I added in some pineapple with the cherries. Also just some ice to make it colder, granola and some coconut water. If you don’t have coconut water, just use plain water. If I happen to have it in the house when I make smoothies, I use the coconut water, but otherwise, I just use plain water. Do you not like to buy cherries because of the job of pitting them? That job is for the pits…haha. I have a suggestion for you…to pit the cherries; I use this great cherry pitter. Makes the job a whole lot easier! Really, it does! 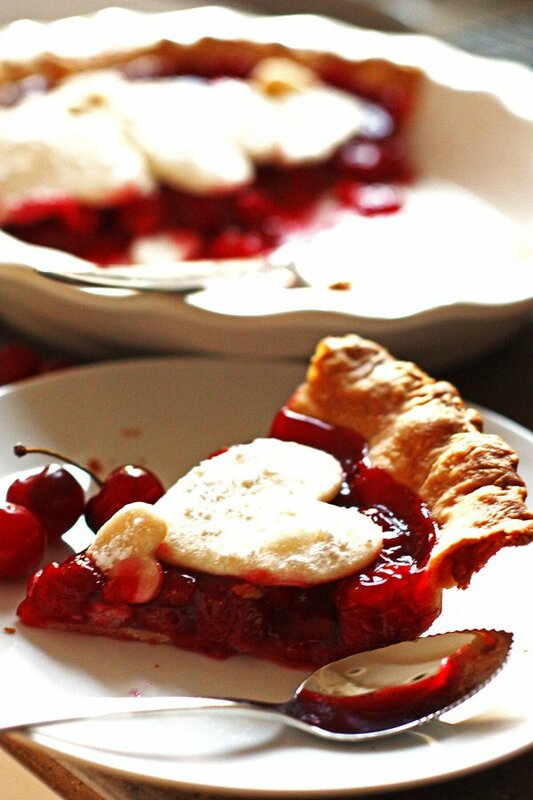 If you bought more cherries than you can eat, try my Cherry Pie recipe. It is delicious! It also looks pretty because you make little hearts out of the pie crust to place on top of the pie. Check it out! 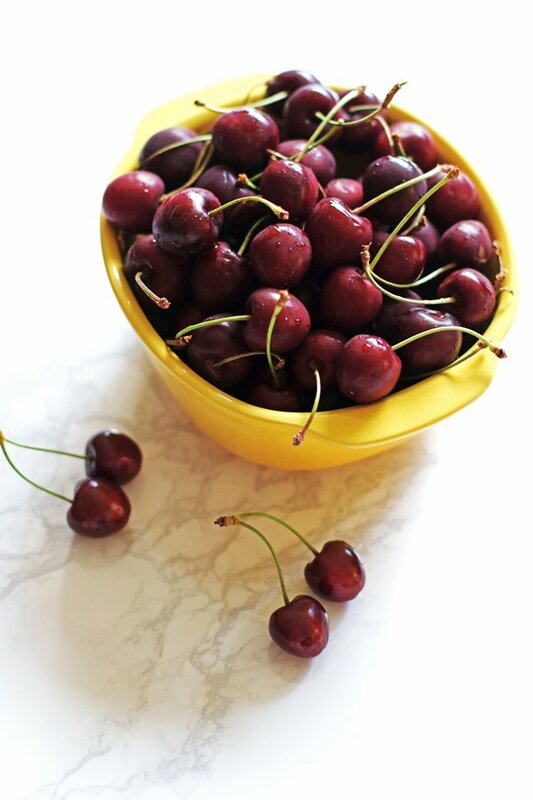 What is your favorite recipe to make with cherries? Recipe makes about 4 cups.